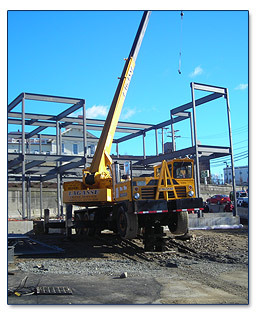 Professionally licensed in Massachusetts, New Hampshire, Connecticut, Rhode Island, Vermont, and Maine; our team strives to provide cost-effective, feasible, and innovative solutions complying with all applicable building codes and regulatory requirements. Phelan Engineering is committed to recognizing the specific needs of our clients by developing and maintaining a close, working relationship while providing the highest level of professional and prompt service. Structural design including commercial buildings, residential dwellings, retaining walls, and foundations. Design modification and upgrading of existing structures to meet customer and code requirements. Construction control of design projects to ensure your project is successful from initial concept through completion. Seismic evaluations and resulting design modifications for existing and new structures. Forensic evaluations of failed structures. Our team can provide the personal service and constructible solutions you need to meet your schedule.